The fishing continues to be good for winter chinook here in Vancouver. So far in general the season has been a productive one for those willing to put in the time in search of these tasty winter chinook salmon. Fishing in the harbour has been producing mostly undersize fish so far, with a few shots at larger fish. This can change in an instant. Historically right around mid Jan we see some larger fishing being caught in the harbor. Two productive spots are the Cap Mouth to Pink Apartment area on the flood tide and the Freighters on the ebb tide. In both spots make sure to keep your gear very close to the bottom as that is where the bait is and so are the chinook. 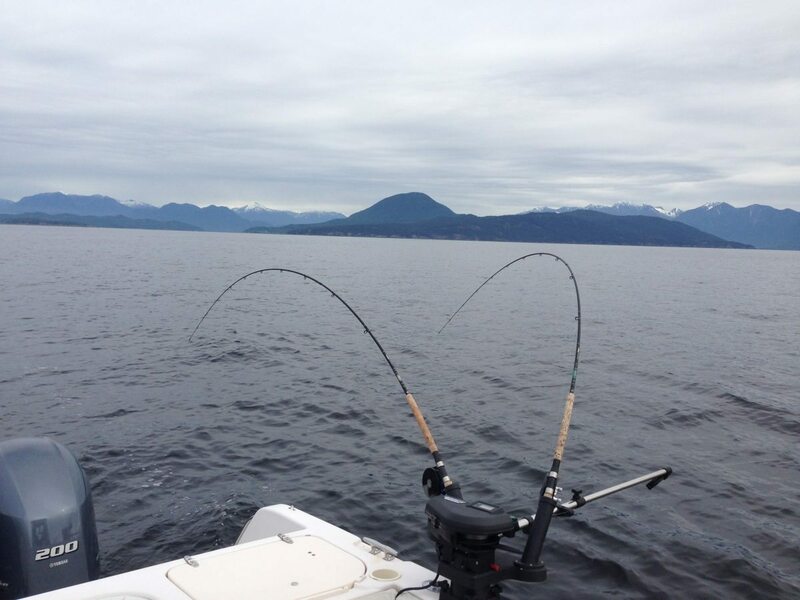 If you want to venture a little further out, Howe Sound has been producing some consistent action and so has the Gulf Islands. Productive setups continue to be Green Onion Glow, Purple Onion Glow and Chartreuse Glow flashers with a spoon. Some of the top spoons have been Kingfisher 3.0 in Irish Cream and Homeland Security and Pesca spoons in Clupea, and Gut Bomb. 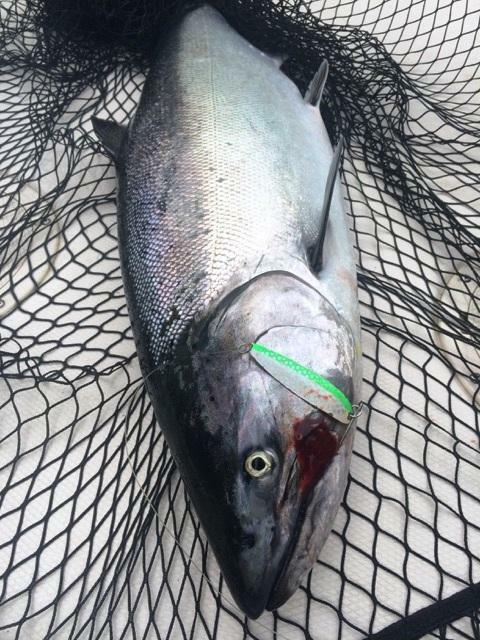 If you would like to book a charter for winter chinook this is prime time. Give Jason a call at the shop 604-872-2204 or on the charter cell phone at 778-788-8582.